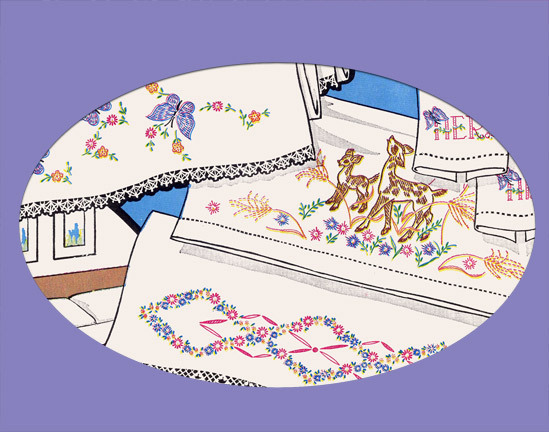 Three Extra-Large (11x17) sheets with designs that will fit perfectly on the edge of a pillowcase. Also includes lots of smaller butterfly designs. Deer, butterflies and floral designs. Includes all designs on original sheet +color print of front envelope. Originally published as Vogart 280.